GP3 Series race winner Pedro Piquet, son of treble Formula 1 champion Nelson, will drive for Trident Motorsport in the FIA Formula 3 Championship in 2019. 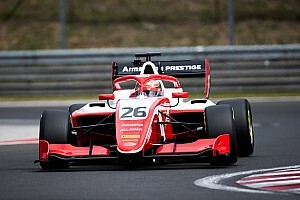 Drivers and teams got their first taste of the new FIA Formula 3 car in a shakedown at Magny-Cours on Wednesday, combining for over 300 laps. New FIA Formula 3 outfit HWA Racelab has signed British racer Jake Hughes to complete its line-up for the 2019 season. American teenager Logan Sargeant will step up to the FIA Formula 3 championship for 2019 with Carlin. Top junior single-seater outfit Prema Racing has signed Ferrari Academy junior Robert Shwartzman, completing its FIA Formula 3 line-up for the 2019 season. 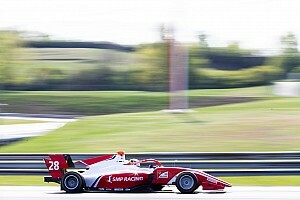 GP3 race winner Leonardo Pulcini has joined Hitech GP for the 2019 FIA Formula 3 Championship season. The new FIA Formula 3 car will be “more difficult to drive” due to tyres which have more severe degradation than its GP3 Series predecessor, according to tyre manufacturer Pirelli. Renault-backed Eurocup title rivals Christian Lundgaard and Max Fewtrell will drive for ART Grand Prix in the FIA Formula 3 Championship in 2019. Carlin has announced Honda protege Teppei Natori as its first driver signing for the 2019 FIA Formula 3 season. 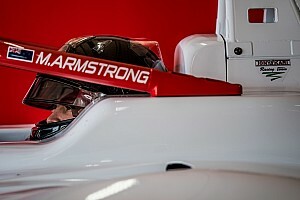 Drivers in the new FIA Formula 3 Championship will have unlimited DRS uses during the 2019 season. New FIA Formula 3 Championship boss Bruno Michel says he is "disappointed" the Motopark team missed out on an entry, despite his organisation being behind the squad's omission.